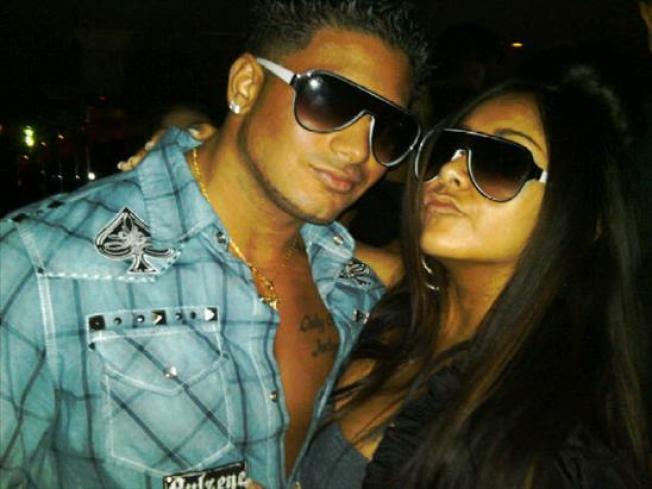 Snooki and her new beau ham it up. Snooki’s party pal says it’s official – he’s her man. Emilio Masella, a 22-year-old personal trainer from New Haven, Connecticut, tells People he’s been dating the “Jersey Shore” star for a little over a week and the pair are smitten with each other. A few days ago, Masella said they made the decision to date exclusively. The pair usually hit clubs together, he said, but they also like taking in a quiet movie too. Jersey Shore Fist Pumpin' in L.A.
Another plus: “She talks to me for me, a lot of girls hit on me for how I look, but she actually got to know me,” Masella says. In January, Snooki -- whose real name is Nicole Polizzi – said she was single and in the market for love, according to People. On Monday, the 22-year-old guidette posted pics of her new beau on her Twitter feed. “Sry I'm taken ;)” she tweeted . 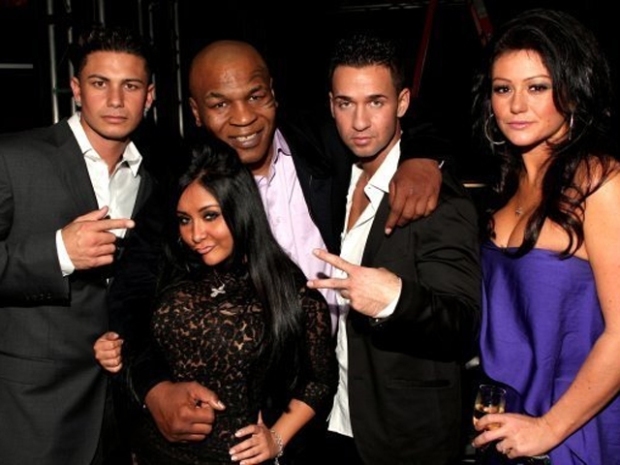 NBC Connecticut reached out to Polizzi's New York-based publicist, but a rep would neither confirm nor deny a relationship.